Catherine reminds us of why the Irish government needs to recognise racist crime in Irish law, as a priority. Lend your voice to the silent majority and tell the government racist crime cannot be tolerated. Sign the online petition below. RACISM, INCLUDING RACIALLY motivated crime, is a problem in Ireland and we do not have the means to deal with it. Our outdated legal framework fails to protect Irish society from racist violence and crime. Effective legislation to prevent and punish racially motivated crime is needed urgently. Successive governments have failed to implement changes in our criminal law, despite calls from civil society organisations and international bodies over the past decade. The first step to overcoming any problem is recognising and acknowledging that it exists. Persistent efforts to deny racism have not made the problem go away. Minority ethnic communities including Travellers experience racism on a daily basis, in all areas of life. The visible, daily reality of racism means that Ireland must make this first step of acknowledging racism without further delay and the Government must move with speed to ensure racist crime is recognised in Irish law. 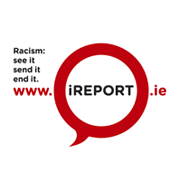 Racist incident reports from the Irish Network Against Racism and its members reveal the ugly truth of racism in Ireland. Racist violence and crime accounted for three quarters of the incidents reported to the Irish Network Against Racism in 2011. A number of the incidents took place just outside the person’s house or on the walk home. Public transport was also an area frequently cited, with taxi drivers, bus drivers and passengers alike the targets of racist abuse. The proliferation of hate speech on internet platforms makes clear the need for systematic and preventative measures. Activists and others who speak out against racism have been targeted also. Only last month for example, Aodhan Ó Riordáin, Labour TD, became the target of hate mail, after he stood up against racist comments made by fellow politician, Cllr Darren Scully. It is bad enough that these experiences have to be endured by individuals and communities across the country. The fact that these experiences are often denied in Irish society including by some key politicians and officials, is shameful. It is time to recognise people’s experiences, to take them seriously and to take action to address racism. Yet, Ireland struggles to monitor racist incidents and legal reform has not kept up with the changes in Irish society. Only one in six people will report a racist incident to the police. The fact that people often feel nothing can be done, is a key barrier to reporting racist incidents. Until we recognise racist crime in Irish law, victims cannot get justice and gardaí shall continue to find their hands tied. In practice, a racially motivated crime is treated like any other crime in our courts. However, it is not any other crime. It is not a crime that could happen to anyone. Were the victim not from a minority, the crime simply would not happen. Research carried out in the UK has shown conclusively that racist incidents have a deeper effect on individuals than similar crimes that are not racially motivated. Furthermore, racist incidents affect the whole community. We need specific legal provisions to deal with the specific problem of racist crime. Law has a key role to play in preventing racist crime, as it acts as a deterrent. After all, we have laws on speeding not only to punish those who speed but ultimately to make sure people do not speed. For the past decade, NGOs, international and regional bodies have consistently pointed to weaknesses in Ireland’s legal framework. In its concluding observations in March 2011 for example, the UN Committee on the Elimination of all forms of Racial Discrimination (CERD) noted with regret that the review of the Incitement to Hatred Act 1989 had stalled. The Committee recommended that racist motivation be consistently taken into account as an aggravating factor in sentencing practice for criminal offences. Furthermore, it recommended that the State take appropriate steps to encourage the reporting of racist incidents and crimes. Yet, no action was taken, despite the opportunity presented by the requirement on EU member states to transpose the EU Framework Decision on Racism and Xenophobia by November 2010. The Organisation for Security and Cooperation in Europe (OSCE) calls on participating states to “enact, where appropriate, specific, tailored legislation to combat hate crimes, providing for effective penalties that take into account the gravity of such crimes”. Given Ireland’s current position as chair of the OSCE, action on our part would provide not only positive change for Ireland but leadership to other OSCE member states. We can no longer deny the daily reality of racism in Ireland. We cannot let ourselves off the hook by assuming that racism is an inevitable consequence of recession. Government, politicians and all those in leadership roles have a responsibility to counter racism. We must acknowledge and take up our role in making sure that we have the capacity to protect our society against racism; otherwise we are also culpable. To put it in words attributed to 18th-Century Irish poet and philosopher Edmund Burke, “all it takes for evil to flourish is for good people to stand by and do nothing”. On 21 March 1960, 69 black demonstrators were killed at a peaceful protest against apartheid laws in South Africa. As a result, March 21 was declared “International Day for the Elimination of Racial Discrimination” by the UN in 1966. International Day Against Racism is a day when people across the globe show their opposition to racism. The Irish Network Against Racism invites people across the country to show their solidarity by signing the online petition to make sure racism is recognised in Irish law, at www.enarireland.org. Catherine Lynch is the National Coordinator of the Irish Network Against Racism, a national network of anti-racist organisations and part of the European Network Against Racism (ENAR).